Watch the full video hereEUREKALERT, ANDREA PANIGADAType 1 diabetes is caused by the destruction of insulin-producing ß cells of the pancreas by the body’s own T cells. But why do these cells wreak such havoc in the first place and how might they be stopped? A report in Science Translational Medicine today (November 15) suggests the immune systems of both diabetic mice and humans lack a suppressor protein called programmed death ligand 1 (PD-L1), which normally keeps T cell activity in check. Raising levels of PD-L1 in immune stem cells restored these cells’ ability to tame T cells in culture and to prevent hyperglycemia when transferred into diabetic mice. PD-L1 is perhaps best known these days as a target in cancer immunotherapies called checkpoint inhibitors, which seek to put a stop to its immune-suppressing activity. The protein works by binding its receptor (PD-1) on T cells, which in turn prevents these cells from proliferating and becoming overly destructive during immune responses. 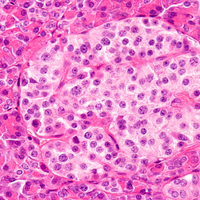 Some tumors produce large amounts of PD-L1 to avoid annihilation by T cells. 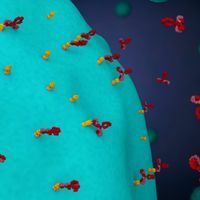 “On rare occasions, people who would take one of these cancer immunotherapies would develop diabetes within a few weeks or few months,” says Mark Atkinson of the University of Florida Diabetes Institute who also did not participate in the research. When you put these case reports together with the discovery that a genetic knockout of PD-L1 in mice with diabetes leads to aggravated and accelerated disease, it’s not surprising that the PD-L1 is now “really garnering a lot of interest” in the diabetes field, he says. Paolo Fiorina of Harvard Medical School and the University of Milan is among those diabetes researchers who have developed an interest in the checkpoint regulators. His team had been establishing the use of autologous hematopoietic stem and progenitor cells (HSPCs) as a treatment for patients with type 1 diabetes, when it was discovered that PD-L1 is the likely mediator of these cells’ natural immune-supressing effects. Now, Fiorina and his team have discovered that PD-L1 is unusually low in HSPCs from both non-obese, diabetic (NOD) mice—a model of type 1 diabetes—and patients with the disease. They hypothesized that boosting PD-L1 levels in these cells might make HSPC treatments more effective. 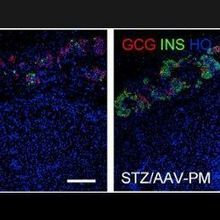 The researchers first tested their idea with mouse cells, genetically engineering them to produce more PD-L1, and mixed them with T cells in the presence of a ß cell antigen. Compared to co-culturing the T cells with unmodified HSPCs, co-culturing with the genetically modified cells resulted in fewer T cells that expressed inflammatory cytokines in response to the antigen. Furthermore, transferring the genetically engineered HSPCs into NOD mice with hyperglycemia, a consequence of type 1 diabetes, resulted in specific trafficking of the cells to the pancreas where they reduced inflammation of the islets (home of the ß cells). This led to long-term restoration of normal blood glucose levels. The animals’ other immune responses were unaffected. The researchers also showed that they could raise PD-L1 levels in both mouse and human HSPCs by pharmacological means, using a cocktail of small molecules. Like the genetically engineered cells, these HSPCs could immunosuppress T cells in culture and, in the case of the mouse cells, they could restore normal blood glucose levels in vivo—though less effectively than the genetically engineered cells. Pharmacological manipulations are “definitely safer” than retroviral-based gene therapy, which can cause toxic mutations, explains Fiorina. But, genetic approaches are “stable, long-term, and very powerful,” he says, so coming up with a safer genetic approach for clinical use would be desirable. To date, there are approximately “700 ways that you can prevent or reverse diabetes in NOD mice,” says Atkinson, but, “there is no way . 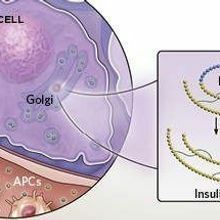 . . to prevent or reverse type 1 diabetes in humans.” He thinks, however, that because of the similarities between mice and humans with regards to PD-L1 and the effects of PD-1 inhibition in cancer patients, these molecules “could have human importance.” With Fiorina already in the planning stages for clinical trials, it may not be too long before we find out. M. Ben Nasr et al., “PD-L1 genetic overexpression or pharmacological restoration in hematopoietic stem and progenitor cells reverses autoimmune diabetes,” Science Translational Medicine, 9:eaam7543, 2017.